An insight from a British/Nigerian man. It’s this sort of news that deserves widespread attention as someone is doing something noble but will it? No. Bruce Jenner was the main focus elsewhere at the time. He was an Olympic athlete who was married to Kris Jenner in where her daughters are Kim, Kourtney & Khloe Kardashian. Jenner revealed at an interview this year he’s going to be a transgender woman and in few days into June, Caitlyn Jenner was released in a photo shoot for Vanity Fair that was later published in their magazine. Caitlyn Jenner will be in the Guinness Books of Records as she shamed a record as the faster person to reach 1 million followers on Twitter. It took just four hours (and three minutes) to reach the milestone, usurping US president Barack Obama who broke the record just two weeks ago with his new @POTUS Twitter handle. Her photo tweet has been retweeted 240,000 times and I am expected that it will rise. I have looked on twitter on what people have been saying and it’s been positive. People have said that she looks hot, she looks stunning etc. In my opinion she looks good but to be honest I find this transgender thing odd and uninteresting. Yes she may have struggles through her life when she was a man but there’s stories that more important than this. The Akon story is an example but it’s ignored by the media and I find this baffling. Caitlyn Jenner is White. Akon is Black. 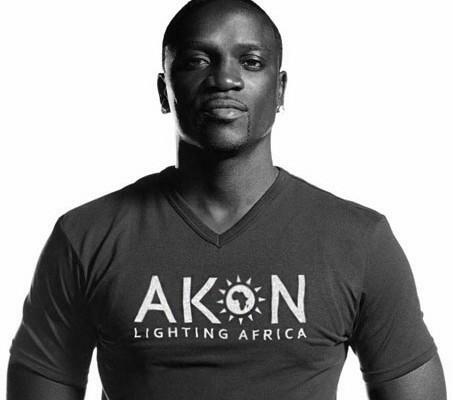 The media feel the Akon story is not worthy to broadcast. Western world and America feel Africa is known for being poor and having diseases so they want to bring news that associates with it. on a small selection of preferred topics, including immigration, crime, violence, cultural differences, and race relations.” From that, I feel ethnic minorties are only know for these topics and nothing else. A month ago as I was on my way home from work, I saw a picture of black man at the front page of the London Evening Standard and I thought finally something positive. I was wrong. The article was about Ben Fiberesima who is referred by the standard as a gangster who launched a successful career as a male model and musician while on the run in Australia has been snared in an extraordinary police sting. Although I find the article intriguing, I was disappointed as once again black men are stereotyped as we are viewed as aggressive, violent and uneducated. Other newspapers follow suit thinking it was true but it was incorrect and The Guardian recognise that.The Guardian says it was from a sample based on a website called babycentre.co.uk for 56,157 members of the site who gave birth in 2014 and that the most popular boy’s name in the year of 2013 from ONS was Oliver. We will found later found this year if Muhammed is the most popular name in UK but I doubt it will be as it doesn’t make sense that that name will popular in the UK in where its predominately white. Yes it may be popular within the Muslim communities but not of parts of the UK. It was an error by the Daily Mail but they haven’t notified the readers about their error. Maybe they didn’t want to because they want to create headlines. As I said it was mentioned by someone on Question Time and I felt it was a negative impression on the storyline as that person may think Britain are losing their values. You may think it wasn’t the Daily Mail intentions but they would have notice that the Muslim communities are in under pressure because Muslims groups have killed people based on their faith e.g. Boko Haram, ISIS so they may think this is story is an opportunity for Muslims to be verbally abused and to raise racial tension. The media can be influential as you can learn things and keep up to date on current affairs when watching the news/newspapers but the media can brainwash a lot of people as they exaggerated and mislead their stories and people will make assumptions on ethnic minorities/gender/countries/region. This can be known as manipulation by the media. Continuing from Power & The News Media.. “manipulation as a form of media power enactment is usually evaluated in negative terms, because mediated information is biased or concealed in such a way that the knowledge and beliefs of the audience are changed in a direction that is not necessarily in its best interest.” I feel this is established to create fear but also raise tension on variable groups. Besides the press, music, films and TV programmes also provide stereotypes but now you see an increase of reality programmes on where they exploited people who are from a lower class or who have disabilities. Benefits Street is a documentary programme series which was distributed on Channel 4 in where it follows people who are on benefits but it has been heavy criticised as it provides a negative portrayed of benefits claimants. Residents who took part says Benefits Street TV show lied to us. Although some of the reports the media have delivered are credible as they have exposed corruption like the Fifa corruption, they have reported unnecessary news to demonise an issue e.g. mental health and instead of doing that, they should organise meetings to discuss why it is stigmatised and come up with solutions in how they can tackle the issue. A campaign might help. From Everybody A Little Bit Racist; An Explanation of Unconscious Racism it states “Stereotypes are translated into our social perceptions, or societal ‘attitudes’ toward an individual or group.” As the media conducted poor research on current topics you get biased, inaccurate information on a particular group and as a result people will stereotype. In this country, the major issue is immigration and apparently it’s all the eastern Europeans fault yet Immigrants From Eastern Europe Pay 12% More In Taxes Than They Receive In Benefits. Whenever you read/watch the news the journalists who report this are predominately white and as a result you only get one perspective. I feel increasing diversity within the media would be worthwhile as you will get different perspectives from BAME as well people who are from countries like Poland & Romania in where their countries are stereotyped. I believe it help change peoples’ assumptions. The late Nelson Mandela says this inspirational quote. “Education is the most powerful weapon you can use to change the world.” We live in a society where there’s a denial of racism e.g. Charleston, people are ignorant and generalising a specific group/race based on their experiences they had with an individual in where it’s increase by their friends and family and as a result “stereotypes lead to polarized judgments.”  and if you are from poor backgrounds, you are not accepted. Although to combat issues like this can be very difficult, education is crucial is it gives you knowledge so more education and extensive knowledge is needed in where it’s access for all backgrounds so it can challenge stereotypes and reduce prejudice. The media have a big part to play as they are influential and it can have an impact on the society. It would be nice if the media take some responsibility in what they are doing as l feel the media’s aim is to cause fear and raise tension in where it displays racial attitudes. But will they? Unlikely as good news is bad news but bad news is good news and unfortunately bad news is winning. Power & The News Media In D. Paletz (Ed. ), Political Communication and Action. (pp. 9-36). Cresskill, NJ: Hampton Press, 1995.